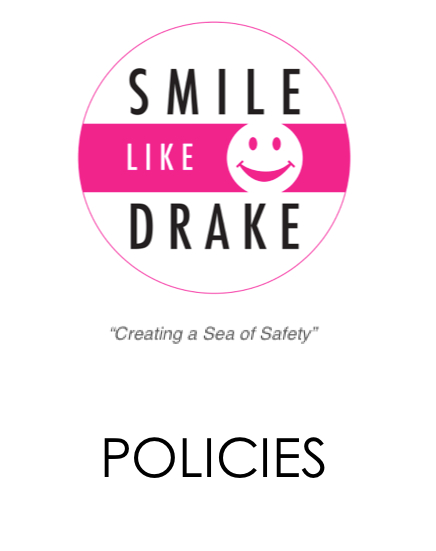 By purchasing a ticket to the Smile Like Drake Charity Gala, I hereby grant permission for the Smile Like Drake Foundation (hereinafter “SLD”) and its representatives to photograph and video record me, and/or my minor children (if applicable). I hereby grant permission to SLD to edit, crop or retouch such photographs and footage, and waive any right to inspect the final photographs and footage. I consent to and permit photographs and footage of me and/or my minor children (if applicable) to be used by SLD for any purpose and in any medium, including print and electronic. I understand that SLD may use such photographs and footage without associating names thereto. I irrevocably waive any claim for compensation of any kind for SLD’s use or publication of photographs and footage of me and/or my minor children (if applicable). I further irrevocably discharge and release SLD from any claim for damages of any kind (including, but not limited to, misappropriation of image) arising out of the use or publication of photographs or footage of me and/or my minor children (if applicable) and agree not to sue or otherwise initiate legal proceedings against SLD in relation to use or publication of such photographs or video footage. All grants of permission and consents contained herein are irrevocable. I acknowledge that I am over 18 years of age and have read, understood and agreed to these terms and conditions. If you do not agree to the aforementioned, or wish to withdraw your consent, please contact the Smile Like Drake Foundation.